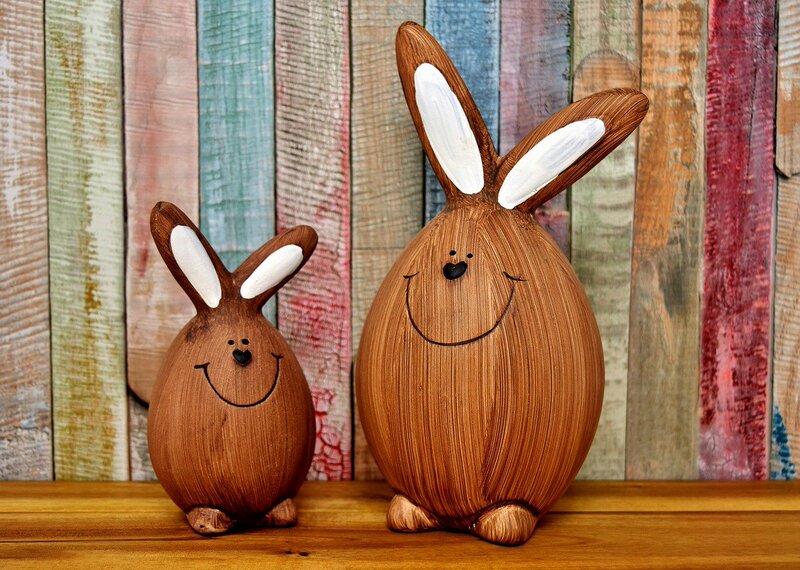 Ever since humans stopped dwelling in caves and started living in huts made of tree branches, wood has been an indispensible structural and decorative residential material. Man's house-building relationship with wood—historically, culturally, and experientially—is deep, long, and universal. In part that's because wood is abundant, economical, durable, and flexible. But our enduring love affair with wood is also due to the fact that, like us, each piece of timber is unique—its color, texture, and grain are as individual as a human personality, so we keep discovering new aspects of its beauty and versatility to delight in. In today's cookie-cutter world, it's heartening to see architects, designers, and homeowners creatively using wood's inimitable qualities to bring character, warmth, and distinction to different parts of the modern home. 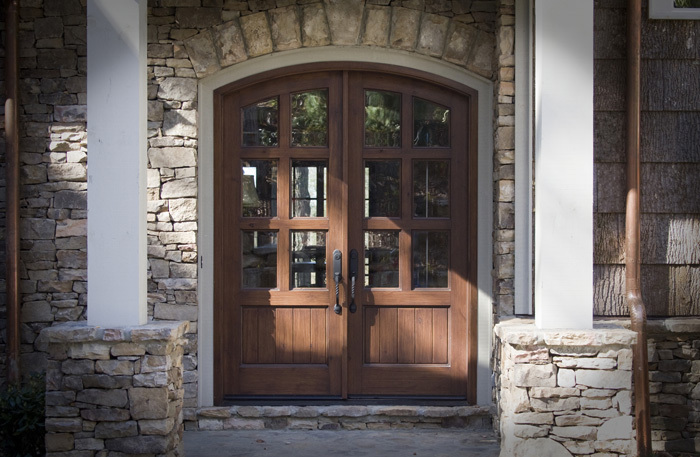 In Denver, Colorado, for example, Sun Mountain, Inc., a manufacturer of custom doors and flooring, used select-grade alder—a hardwood with a tight grain and few knotholes—for a traditional-style double front door. The elegantly rustic design, which combines solid alder with glass panels and metal hardware, is set off by the house's dry-stacked limestone walls. "The double-pane glass doorlites are hermetically sealed for insulation against the Colorado winters," says Ed Wright, Sun Mountain's vice president of marketing. "And the door handles are bronze with a rubbed oil finish." The total effect is at once substantial and low-key—country style that's sophisticated but with a sense of welcome so essential for a front entrance. An entry hall is an equally suitable space for the beguiling charms of hardwood. Behind the custom poplar front door of a new residence in Gladwyne, Pennsyvania—a collaboration between Archer & Buchanan Architecture, Ltd., and E.B. Mahoney Builders, Inc.—the hall is a fine example of traditional, millwork-intensive style. Featuring a beautifully proportioned staircase, painted poplar paneling, and wide-plank flooring, it was inspired by the work of architect, R. Brognard Okie, who designed many fine Colonial Revival houses in Philadelphia area between 1900 and 1945. The hall's sense of Old World graciousness is further enhanced by the use of locally sourced red oak for the floors and stair treads. "The 24-inches to 32-inches wide planks come from a Bucks County, Pennsylvania, mill run by two brothers in their seventies," says builder Ed Mahoney. "The workshop was surrounded by huge old-growth oak trees from which the planks were cut—they had to be ordered months in advance. The boards are plain—not tongue and groove—and stained with a satin finish. We left them in the house for a month to stabilize before installing them." 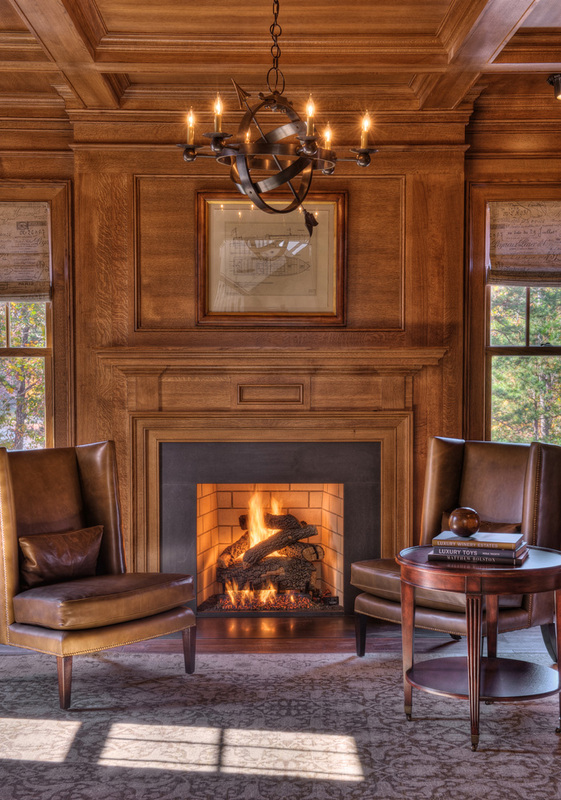 That wood can also be used to create a sense of intimacy and ease is demonstrated in the library of a very large weekend retreat at Lake Keowee, South Carolina. Not only is the fireplace surrounded by quarter-sawn oak mantle and trim, the whole room is paneled in the same hardwood, which is also used for the coffered ceiling and floors. The library's intimate scale and traditional detailing were inspired by a ship captain's quarters—a subtle reference to both the home's lakeside location and the style in which the house is built. Designed by Atlanta-based architect Stephen Fuller and constructed by Gabriel Builders, Inc., the imposing house is a playful take on the grand Shingle Style made famous by New England's "summer cottages." But Fuller made sure to include a number of smaller, cozier rooms where the family would feel snug and comfortable, and he often used wood to achieve this. Such is the case in the library, where the wonderful familiarity of the oak makes the room a tranquil, reassuring haven. No matter what style of home you prefer, from the traditional to the modern, American hardwoods in all their diversity will allow you to realize that vision perfectly.